Sara Alderson, a member of the organization Aid Our Veterans, sat while processing a veteran's checklist at Winterhaven. In front of the Washington D.C. Veterans Affairs Medical Center, Sgt. 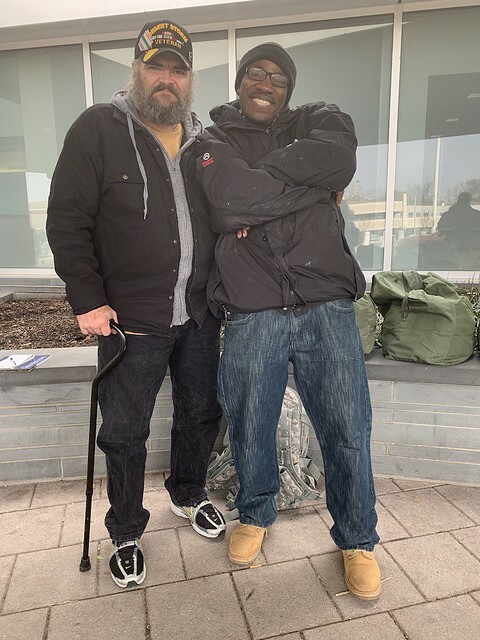 Timothy Harper and Antonio Pinchback sat together as they discussed the much-needed services they received at the center’s annual Winterhaven Homeless Veterans Stand Down on Saturday, Jan. 26. 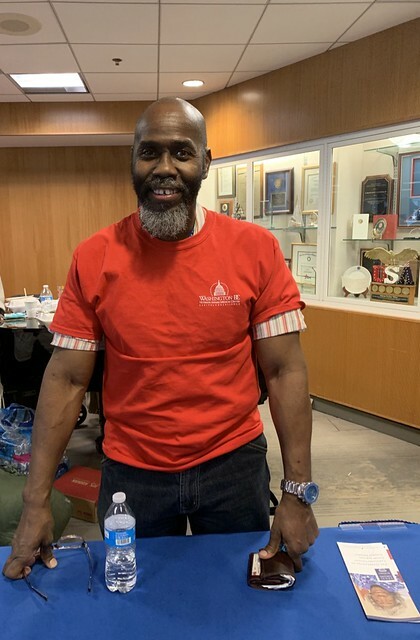 The VA brings together services from each level of government as well as from community nonprofits to address the challenges faced by veterans who are struggling with homelessness in the D.C. area. 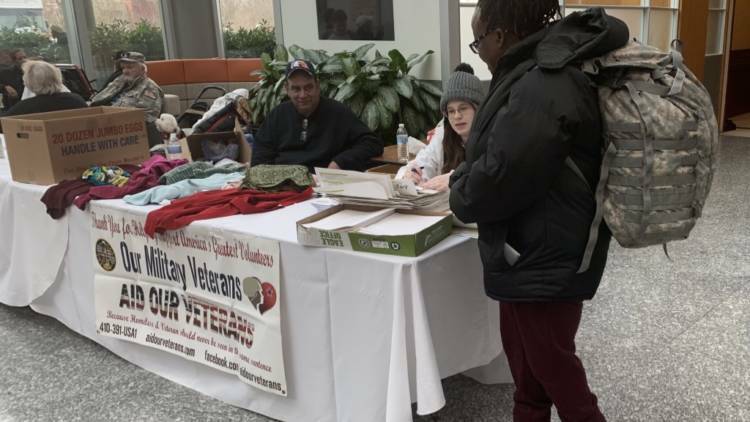 Starting at 9 a.m., more than 70 organizations were in the lobby of the VA Medical Center to provide on-site assistance and information. 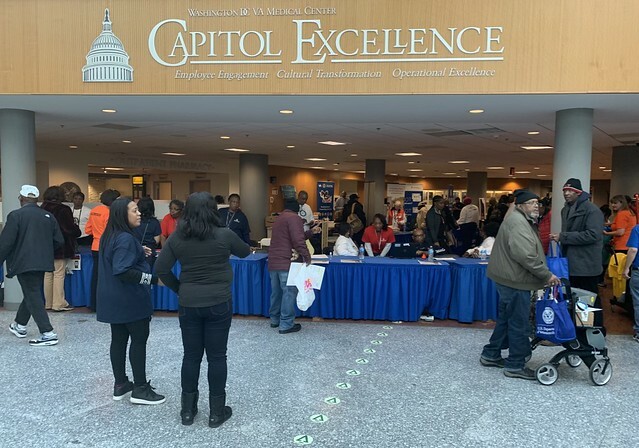 At the registration table, more than 500 participating veterans received a checklist of designated areas to ensure each received the care he or she needed. Primary care, housing counseling, substance abuse rehabilitation and legal assistance were just a few of the services offered. A pro-bono legal clinic that consists of The Veterans Consortium, the Neighborhood Legal Services Program and the VA, had five attorneys on-hand to discuss issues and provide legal referrals in military discharge upgrade matters, landlord and tenant law and benefits claims. That’s why Sgt. Harper attended Winterhaven. He needed to make contact with the Disabled American Veterans to get help with a benefit appeal. The Veterans Benefits Administration pays out more than $78 billion each year to nearly 5 million beneficiaries. However, since the administration began operating in 1930, more than 470,000 veterans have experienced a denial of benefits and have appealed, according to a New York Times report. Daley suggested the denials were caused by the sheer number of beneficiaries, coupled with mistakes in paperwork that veterans turn in. 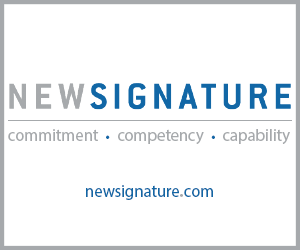 According to the Times, the VA system for sorting cases with errors combined appeals with minor mistakes such as typos with a backlog of cases awaiting review because of complex errors. Representatives from The Legal Counsel for the Elderly were also present at the event to give veterans information on its legal and social work assistance. Blood pressure, diabetes, vision and dental health assessments were all required. “Because we’re concerned about sexually transmitted diseases, we have an HIV assessment for persons that want to get assessed voluntarily,” said VA nurse Henry Jackson. After stopping by the mandatory stations on the checklist, each veteran had free lunch available to them and a comfort kit that included winter clothing and perishable goods. A 2015 study published in the journal Public Health Nutrition found that veterans of the Iraq and Afghanistan wars suffer from food insecurity at more than double the national rate of 12 percent. Outreach events such as Winterhaven align with the center’s focus on preventing homelessness among veterans. According to the 2018 Point-in-Time Count, 306 veterans experienced homelessness in the district. The VA also provided free transportation from local shelters to all eligible attendees.